The Victoria Hotel is a refined and modern Boutique Hotel in the heart of Pescara, near Piazza della Rinascita, also known as “Piazza Salotto”, only few steps away from the seafront and Corso Umberto I. 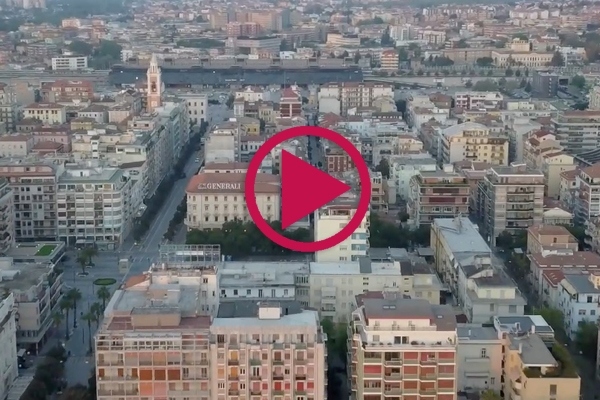 In a strategic position, close to many fine restaurants, shopping area, main tourist attractions, the train station and only 6 km away from the Airport of Pescara, the Victoria Hotel is perfect for both business travelers and holidaymakers. Providing a free parking and complimentary fast Fiber internet connection (Wi-Fi & LAN), Victoria Hotel is dedicated to ensuring your stay is an exceptionally comfortable and memorable one in a relaxed and friendly environment. The attentive and professional staff will do everything to fulfill your expectations. Upon reservation, the hotel also provides free access to the gym (with professional equipment) and the spa, both located within the hotel premises. An affiliated secure parking garage and a beach resort at conveniently agreed rates are also available for all Victoria Hotel guests. I have been coming to the VIctoria regularly for the past six months and it has become my Home from Home. The Location is very central to all the amazing bars and restaurants and only 200 meters from the beautiful beach. We only stayed one night in Pescara but could easily have stayed longer in this delightful, lively city. The Victoria Hotel is perfectly located in the pedestrian area only a short walk from the beach.